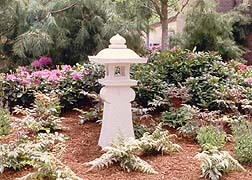 Add light and interest to your landscape or any special place, with a lantern from Ferree Studios. Add a custom designed mailbox to compliment your landscape. Our mailboxes can include a paper slot and/or engravings. Contact us for additional information.